The beautiful thing about backpacking in Europe is the sheer proximity of countries and emblematic cities. All within a bus, train or plane ride – and with some creative planning – the opportunities to cost effectively travel those distances. One constant reminder that has always been in my mind since studying abroad in Spain in 2008 has been exactly that. Especially compared to the travel costs and accommodation options in the United States. 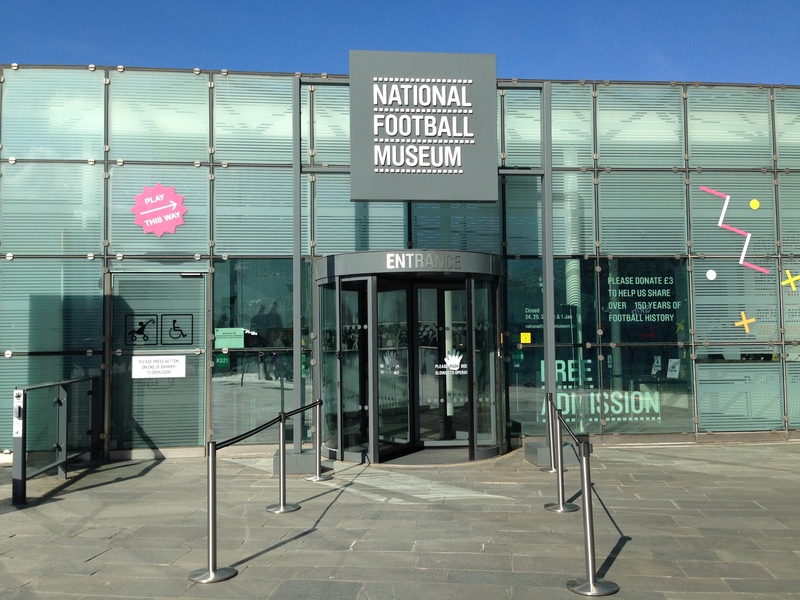 When the chance to visit a truly historical and football crazed city (with TWO teams in the English Premier League) came my way, you can bet I did not hesitate one bit to make that trip! Manchester, England is home to two of the most famous football clubs in the world – Manchester United and Manchester City. My local contacts and family friends that have been fans of either of these teams for their entire lives will tell you that the city itself has a severe superiority complex about which side is the true Manchester team. United encompassing fans of a higher class in the city itself, along with a massive base of fans from outside the municipality, and City being the bluer collar, edgier base. Especially when looking back at the last twenty to thirty years of the successes, and lack thereof, for both sides. United being the more dominant team over the course of three decades, as City has supplanted them in recent years due to new ownership. However, that is an entirely different subject. 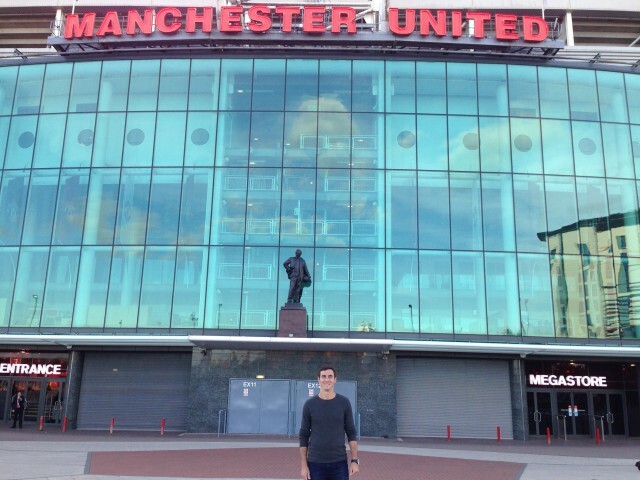 Outside the stadium and fan shop entrance at Old Trafford! Manchester City’s complex contains the first team stadium with the Academy grounds linked by bridge. 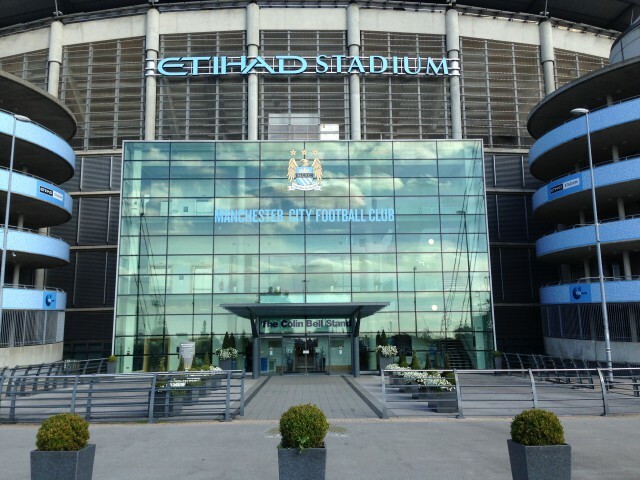 My weekend in Manchester was all about diving into the local football scene and experiencing the city as a traveling fan. Luckily, as mentioned earlier, the opportunity to visit the city and attend an English Premier League game, ironically enough in an adjacent town, was incredibly special. 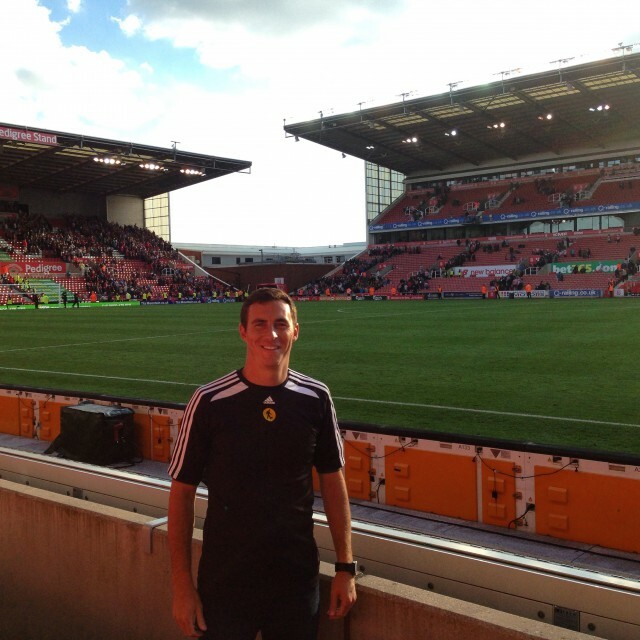 The chance to witness my first ever game in England at the Stoke City vs. Bournemouth match. United was at home over the weekend, but for those that are not privy to the difficulty in obtaining tickets (especially at an affordable price), my adventures in Manchester were limited to visiting the stadiums, surrounding pubs and fan shops. Plus the beauty of England as a footballing culture is that there are first-class teams all across the country. The entrance is free and completely worth a visit if you are a fan of the sport. Luckily for me Stoke-on-Trent was a speedy, yet serene train ride away and showed me a whole other side to the diaspora that is English football. Stoke another working class town with strong ties to the manufacturing industry, where the diehard fans spend their hard earned dollars to attend games every week, despite not having a tenth of the successes (in terms of trophies and league championships) that the neighboring football giants have procured over the course of history. Nevertheless, as I made my way up a winding, tree laden path away from the cold cobblestone streets below to the Britannia Stadium, home of Stoke City FC, the locals joined me in soaking up the atmosphere and what little sunshine was peaking its way through the clouds early that afternoon. Over the past year I had the privilege of working directly with the Stoke City FC Academy coaches and staff. This is how I find myself visiting England to watch a home match for the club. And the afternoon was truly an unforgettable experience for me as I joined one of the coaches in the stands to enjoy a stressful, albeit victorious game for the home side. Personally, I think I was the good luck charm as this was their first win of the season! A massive thanks for the hospitality from the professional staff at the club during my visit. All smiles after a 2-1 Stoke City victory at the Britannia Stadium. One interesting side note is that fans can purchase and consume alcohol within the stadium (something not allowed in Spain), but cannot bring it into the stands to drink. And guess what? Their stands were almost spotless after the game. Imagine that as a fan in the United States. Half of the pull of the American entertainment that is called professional sporting events is the fact that it is a medium fueled by socializing, and if you choose, the chance to imbibe in a local, hop infused beverage – if not something stronger. The home of Stoke City FC is set above the town and away from the surrounding neighborhoods. The magnificence of the world’s beautiful game is that there is non-stop play and a goal can happen in an instant. If you blink, and you miss a beat, or a pass, it could change the outcome of the entire game. So, fans are glued in their seats watching all the action. Not hanging out in a swimming pool with an umbrella drink beyond the grandstands. But, I digress. Of course, as I continue to travel chasing sport, there are other events that capture the essence of a city, or an entire nation, while I am there locally. Particularly during that weekend in Manchester for the England vs. Wales Rugby World Cup fixture. This game wasn’t just a Monday Night Football type match-up between two powerhouses. It wasn’t just a game seven of a MLB Championship Series feel. This game was an all out, match of the century, both nations’ pride at stake kind of event. England was the favorite on their home soil with pundits predicting it to be close, but vital for both countries rugby programs. The media hyped this game so much that even I was pumped to watch an entire rugby match for the first time ever. That being said, I found myself in quite possibly the worst place to watch this epic game. Apparently at Waves bar in Manchester, chosen because it was close to my hotel and I was exhausted from the day, no one with the exception of two other backpackers, five men from Scotland, and a handful of older Brits, gave a flying f*** about the game. Needless to say Wales upset the mighty English side, the Bachelorette party inside the bar continued to pound shots despite the result and everyone went on their way to pretend the loss did not happen. I imagine this was not the best night to be celebrating as an Englishman. The rest of my time in Manchester was spent walking the city, hopping on metro trains (and sometimes heading in the wrong direction for 45 minutes! ), grabbing a drink at the famed Trafford Bar outside the United stadium and navigating my way through the grounds at Old Trafford and the Etihad campus. Despite not actually witnessing a match in Manchester during the weekend, my time was well spent as I covered more than most people would in that span. My feet were seriously happy that I was only in Manchester for three nights. Next time I’ll be sure to pack gel insoles.